Organization with style has never been so easy. This over-the-cabinet door hook is designed to hold small kitchen or bathroom items. This item is perfectly suited to fit over most standard cabinet doors. Over-the-Cabinet Single Hook Satin Nickel Organization with style has never been so easy. 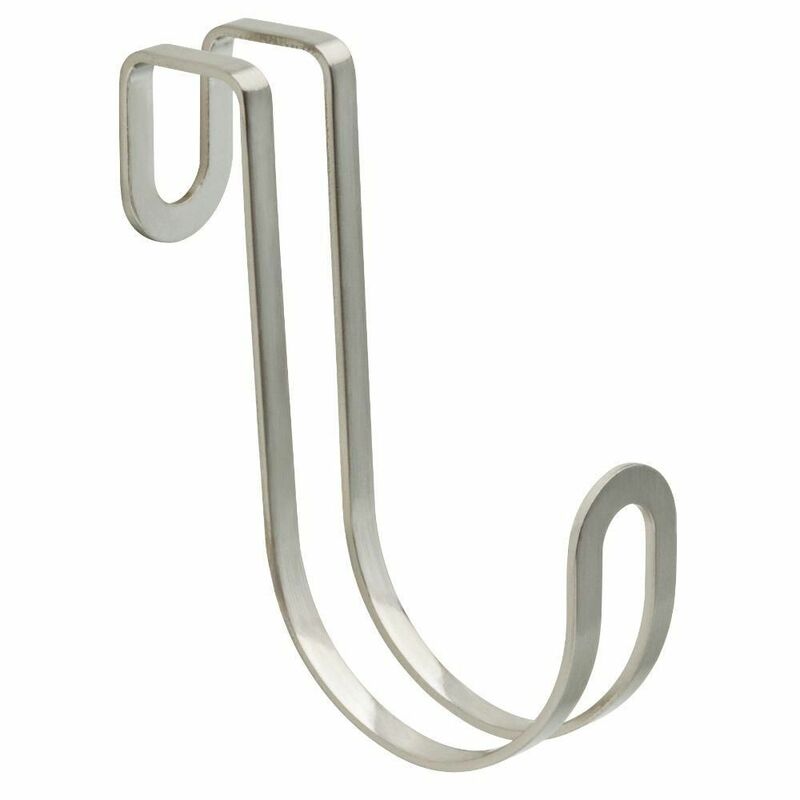 This over-the-cabinet door hook is designed to hold small kitchen or bathroom items. This item is perfectly suited to fit over most standard cabinet doors. Over-the-Cabinet Single Hook Satin Nickel is rated 3.0 out of 5 by 1. Rated 3 out of 5 by MOMof2 from This could have been made better It is exactly what i was looking for, but it is poorly made in that it is easily bendable (therefore prob easily breakable), and also tends to slide around across the top of the cabinet, and will prob scratch it up. The last over the counter hook that I had, came with a non-slip piece of material that prevented it from moving around. This product can really use that in order to improve it. I will prob go and buy some sort of gripping material myself and glue it on so that I don't ruin the top part of the cabinets. Good luck with your purchase!